- 2000: Ph.D. Max Planck Institute (University of Tübingen, Germany). - 1996: Master in Cell and Molecular Biology (University of Strasbourg, France). - 1996: Engineer Degree (ESBS, France, Germany, Switzerland). - Since 2003: CR1 INRA, Group leader, UMR 1319-MICALIS, équipe GME (D. Lereclus). - 2001-2003: Post-doctoral fellow, Institut Pasteur, Paris, Unité U389 (P. Sansonetti). 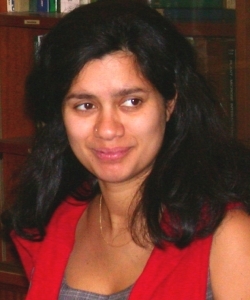 - 1997-2000: PhD student, MPI Tübingen, Germany (T. Meyer). - 1996: Master degree Connaught Lab, Toronto, Canada (Aventis). - Group leader (11 people in the last 5 years), Reviewing activities, PhD comities, Teaching Graduate and postgraduate studies, Front cover pages in 3 journals, Representant of rank A scientists for the MICALIS Unit, Expertise for DOX industrial Society, Responsible of the GME strain collection, In Who’s Who in Science and Engineering 2011-2012. - Ramarao R., Sanchis V. (2013).The pore-forming haemolysins of Bacillus cereus: a review. Toxins. 5(6): 1119-1139; doi:10.3390/toxins5061119. - Tran SL, Guillemet E, Lereclus D, Ramarao N. (2013). Iron regulates Bacillus thuringiensis haemolysin hlyII gene expression during insect infection. J. Invertebr. Pathol. 113(3): 205-208. - Kamar R, Gohar M, Jéhanno I, Rejasse A, Kallassy Awad M, Lereclus D, Sanchis V, Ramarao R. (2013). Pathogenic potential of Bacillus cereus strains as revealed by phenotypic analysis. J. Clin. Microbiol. 51(1): 320-323.